. By the time the chicken is done the quinoa salad will be ready, add some farm fresh vegetables and dinner is served! Dinner doesn’t have to be an all day process. The prep time for this meal is only 10-15 minutes and then you are free to check a few other things off your to-do list while dinner is cooking. 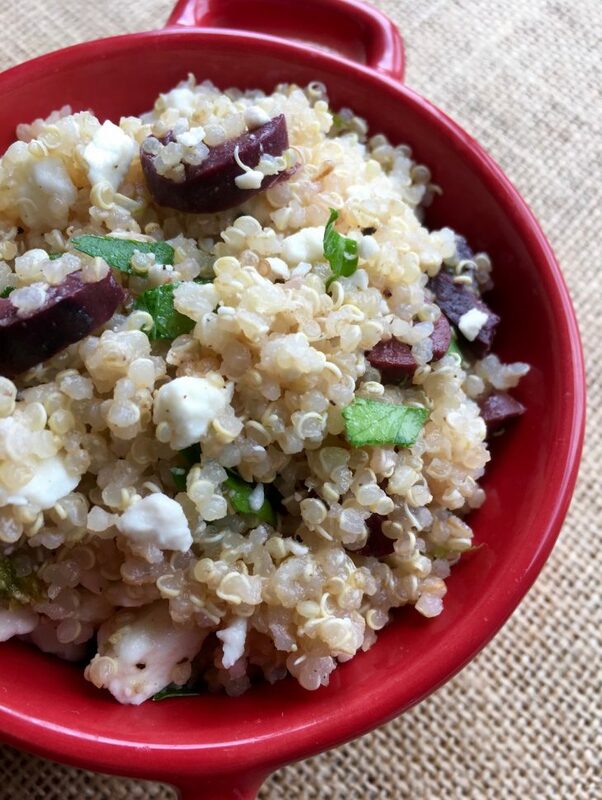 This may be a quick and easy side dish but it deliciously pairs the bold Mediterranean flavors of lime, Feta cheese, Kalamata olives, and fresh parsley against the subtle backdrop of quinoa. Thanks to the naturally salty flavors of the olive brine and Feta cheese, this dish doesn’t need any added sodium to help balance the flavors. This dish can also be tossed together the night before as it stores well and tastes even better if it has a chance to let the flavors meld together a bit. Remember, as always, you can adjust this recipe to your taste preference. 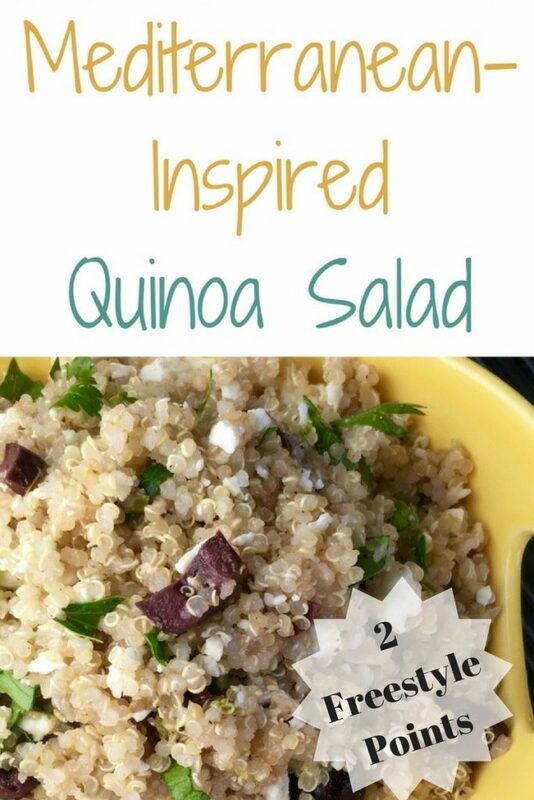 Fluff quinoa with a fork and stir in lime zest, lime juice, Feta cheese, chopped olives, and fresh parsley until thoroughly combined. If there is time, refrigerate for at least 30 minutes before serving. Great recipe!!! Will be a suitable meal for my dad’s dinner!